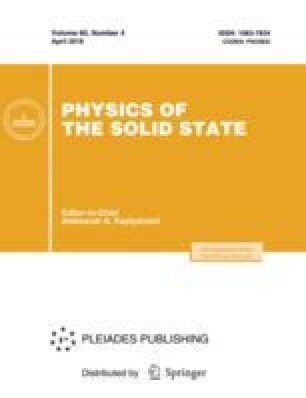 This paper presents the results of the study of the domain structure of barium titanate crystals in a wide temperature range including the Curie point (TC) using the polarization-optical method in the reflected light and the force microscopy of the piezoelectric response. It is shown that a new a–c domain structure forms during cyclic heating of the crystal above TC and subsequent cooling to the ferroelectric phase. The role of uncompensated charges appeared on the crystal surface during the phase transition and their influence on the formation of the domain structure during cooling are discussed. Original Russian Text © D.A. Kiselev, T.S. Ilina, M.D. Malinkovich, O.N. Sergeeva, N.N. Bolshakova, E.M. Semenova, Yu.V. Kuznetsova, 2018, published in Fizika Tverdogo Tela, 2018, Vol. 60, No. 4, pp. 734–738.